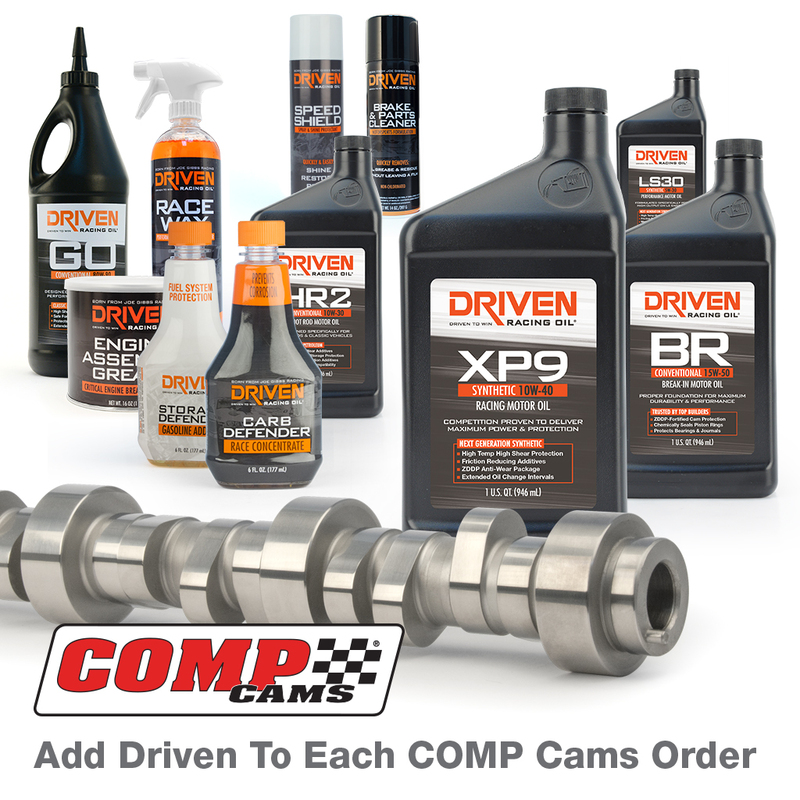 Thanks to a new distribution partnership with Driven Racing Oil, COMP Cams is making it easy for customers to get competition-proven lubrication products specifically designed for their application. Beginning Sept. 5, COMP Cams will become a distributor of Driven Racing Oil’s complete lineup of oil, fuel additives, transmission and specialty fluids, greases and cleaners. Technical and sales staff have been trained to recommend products offering the protection needed for each customer vehicle, given its intended use.